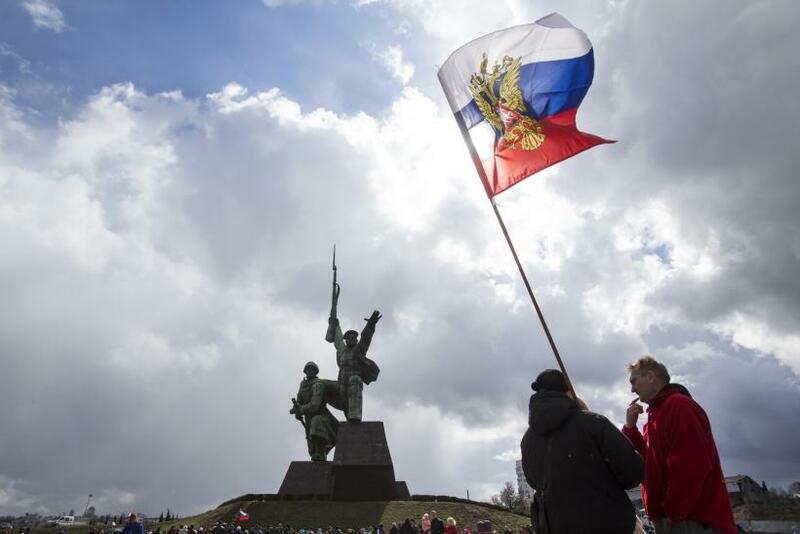 Russian citizens overwhelmingly support Russia’s annexation of Crimea, one year after President Vladimir Putin vowed to take control of the Baltic Sea peninsula, according to a poll conducted by the state-run Russian Public Opinion Research Center. Two-thirds of 1,600 individuals polled said Russia has benefited from the annexation. Respondents identified naval access through Crimea to the Baltic Sea, the addition of Crimean vacation areas and the reclamation of territory that was formerly part of Russia as the main benefits of the annexation, according to Russian news outlet Tass. Moreover, 85 percent of Russians said they believe Russia will retain control over Crimea indefinitely, and 89 percent said Russia should not return Crimea to Ukraine in exchange for an end to the United States and European Union’s economic sanctions against Russia enacted amid ongoing conflict in Ukraine. The results were released days after multiple polls found Putin’s approval rating had increased since Russia annexed Crimea. The Kremlin affirmed Tuesday it had no plans to return Crimea to Ukraine, regardless of whether Western powers offer to lift or ease sanctions. “There is no occupation of Crimea. Crimea is a region of the Russian Federation, and, of course, the subject of our regions is not up for discussion,” Kremlin spokesman Dmitry Peskov told reporters Tuesday, according to Reuters. Russian troops entered Crimea last March after rising unrest forced pro-Moscow former Ukrainian President Viktor Yanukovych to step down from his post. Putin justified the action by claiming that 97 percent of Crimea's residents were in favor of Russian rule. Russia was ready to consider nuclear options to ensure its control over Crimea, Putin said in a prerecorded documentary that aired Sunday. Spokespeople from both the U.S. State Department and the EU said the sanctions will remain in place until Russia leaves Crimea. The West has repeatedly condemned Russian military aggression in Eastern Europe and accused Putin of arming pro-Russian separatist rebels in eastern Ukraine. Russia has denied the allegation.